In editor mode you’ll see from which site the post list is get from. The field content is stored in an two dimensional array. In this array [selected posts] you will get an array with the all the post objects (if you selet ‚Post Object‘ in field sttings) or with all post ids (if you choose ‚Post ID‘). 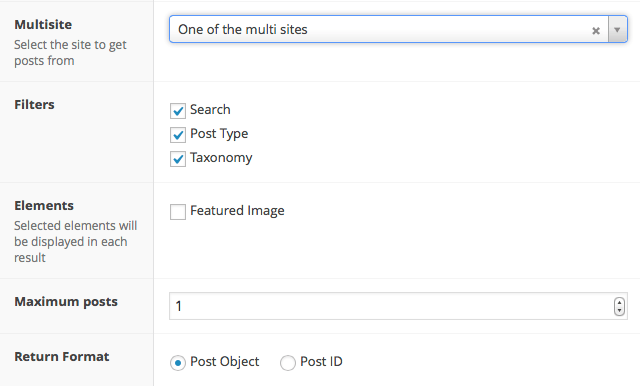 The second array [site_id] holds the site id of your selected multisite. To get the post on the frontend you need to do a foreach loop. For detailed usage instruction take a look at the Github page. This version works only with ACF 5.